And here's what it sounds like. If God's grace could talk, it would sound exactly like what this book says in every Scripture on every page. And it wouldn't sound nearly as old as it actually is, because it's new every morning and within instant reach at every moment. 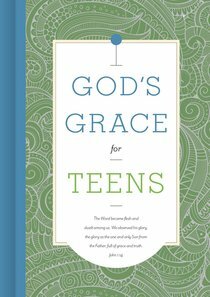 About "God's Grace For Teens (God's Grace For You Series)"